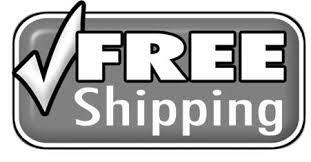 Items are usually ship out within 2 working days upon receipt and processed of your payment. We do not ship on holidays and weekend. Shipment is via singpost Registered Air mail. Delivery from SIngapore to Rest of The world and will take approximately 8 - 12 working days (guideline provided by the Postal Service). To rule out possible delays and lost of packages in transit, please write to us at spoon72@starhub.net.sg for the tracking number if you do not receive your purchase after more than 18 work days. Do include in your email, your name, Address, Country, purchase, amount and date of purchase. We will put up an inquiry with our Postal Office for further investigation on your package. Please understand that we are not part of the Postal Office and we cannot be held responsible for delays in Post or Lost of Shipment. We can and we will assist to relay your message to our Postal Office and upon their investigation, revert with a satisfactory answer. All items are ship from 50 Kallang Pudding Road, #08-01, Singapore 349326, part of Southeast Asia. Our main shipping company is singpost and fedex. Late delivery occurs often during festive period, so it might be advisable to purchase them earlier. Due to custom clearance, so it is advisable to leave additional details like your contact/ mobile number or for some who brough in bulk, your tax number if any. Due to unclaimed of parcel. All our items are registered parcel, and required your signature or anybody who can claim on behalf of you. When the postman call and nobody home, they will leave a notice. Do be aware of these notice on your doorstep or letterbox. If the item is left unclaimed for too long, it will be post back to us. Parcel might be lost in transition. In situation like this, we will make a claim on your behalf from the shipping company. The process might take up to 8 weeks. Due to Unforeseen Circumstances like Postal service strike, natural disaster and man-made disaster. There is nothing we can do except hoping it will end ASAP. For unclaimed and return parcel, you have two choices. Getting a partial refund or have the item send again. For getting a partial refund, it will a refund minus off the shipping and 20% restocking fee(listing and Final Value Fee payable to ebay and transaction fee to paypal). For items being send back to you, you will have to pay the shipping charges again. We do ship via express post upon customer's request. Express Shipment via Fedex/EMS will take 2-4 work days for delivery and minimal charge varies. The rates will differ according to weight/ Volumetric weight and final destination of shipment. Link to EMS postage calculator: http://singpost.com/quick_services/quicks_02postage_cal.asp Note that Speedpost Worldwide Courier (Package) is EMS. For Returns: No returns unless it is our fault. Customer are to be held responsible with their own purchase and should clarify all doubts before purchase. On our part, we include as much details as possible. For Exchange: Items can be exchanged for another item if item is returned within 14 days of receipt of your item. Please state the item you wish to have as an exchange when returning your item. Please note that if the replacement item is more expensive than the returned item, you will need to pay the additional amount before we dispatch your exchange. Customers will also need to pay for the postage at the listed rate for the replacement item for all exchanges. All exchanges are subjected to the replacement item being available and in stock. For Faulty/ Wrong Items: In rare cases if the item received is faulty, simply return the item upon our request and we will give you a full refund or send out a replacement (subject to stock availability). We will refund the cost of your return postage on receipt of your returned item.